I'll admit, trying to fit ribs into every menu can be a bit of a stretch, but the heavy use of spices in both barbecue and Indian cuisines make the mash-up here pretty apt. Unlike barbecue though, whose mixture of spices tend to be a balance of sweet and spicy, my Indian inspired mixture tilted way more heavily on being primarily earthy with cumin, coriander, and turmeric all heavily represented while sugar and peppers were more background components. This created a rub that had a bright yellow hue, a departure from the standard reddish color I'm used to. It looked a bit weird at first sight after coating the ribs in the spice mixture, but the aroma was truly excellent. Note of caution here though, the turmeric is out to stain everything, so the use of gloves can be helpful to avoid turning your hands, and everything you touch, bright yellow. When thinking of an appropriate sauce to go with the rub, sweet tamarind chutney immediately came to mind. If you've been out for Indian food before, you may be familiar with this as the sauce commonly served alongside papadum, whose sweet and tart flavor meshes well with those peppery crackers. It's a pretty simple sauce to make once you've procured tamarind concentrate and jaggery (Indian dark brown sugar). Those two primary ingredients are mixed with water and some spices, then simmered into a thin, syrupy consistancy. 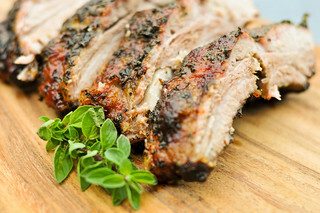 Although the flavors were changed up a lot from your standard rib, the process of cooking remained the same. 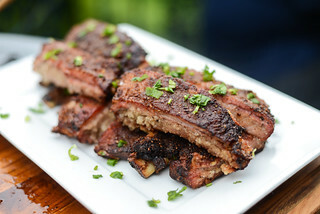 This called for smoking the ribs at 225°F to allow them to slowly cook, breaking down fat and connective tissues along the way, rendering the ribs both juicy and tender. I employed my BBQ Guru to help me maintain the right temperature without any babysitting required. I used to be a naysayer in any additional assistance with the fire, but I've changed my tune after both the convenience and more consistent results have proven the worth of this handy device. 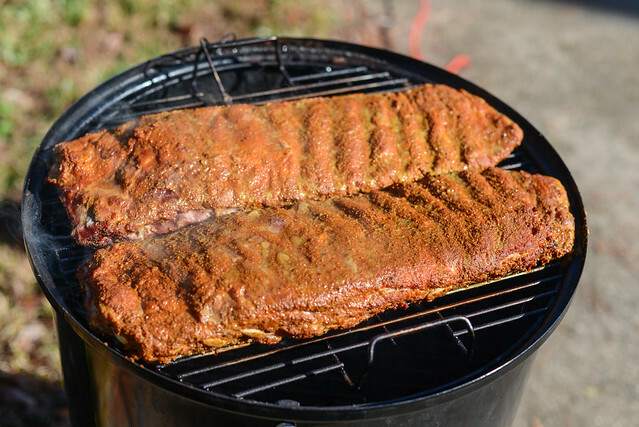 I was a bit worried that the yellow rub would leave the ribs with a somewhat unattractive color in the end, but after five hours of smoking, the racks both developed the normal beautiful mahogany hue I've come to know. 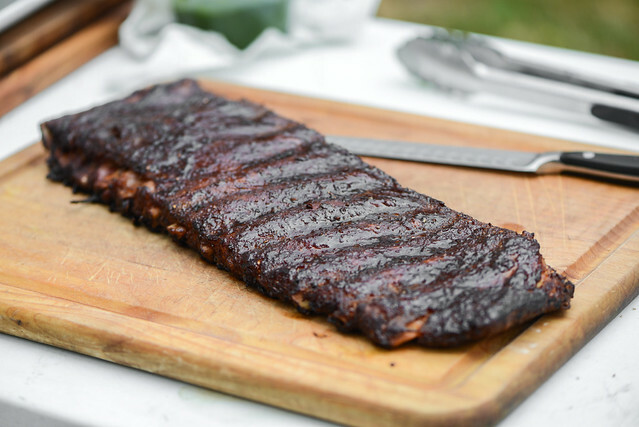 In the last half hour of cooking, I brushed each rack with the tamarind chutney, which gave the sauce time to further bake down and leave the ribs with a shiny, glazed appearance. 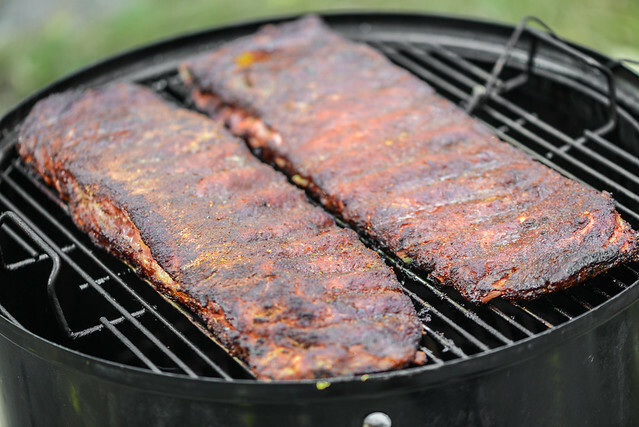 When all was said and done, these ribs didn't look much different than your standard barbecue racks, but just the aroma coming off of them as I sliced them for serving told another story. That sweet and earthy smell was the first hint at the flavor to come. Pairing with the moist and and smoky meat was a strong Indian-spiced flavor where the cumin and coriander stood out amongst a complex mixture that also had clear tastes of ginger, garlic, and mild peppery heat. Layered on top of that was a balancing sweetness and contrasting tartness thanks to the sweet tamarind chutney. This made the ribs fit in pretty seamlessly among the more traditional kati rolls, chicken tikka, and naan being served up that day, and also went to further prove that there's little flavors ribs can't successfully take on. 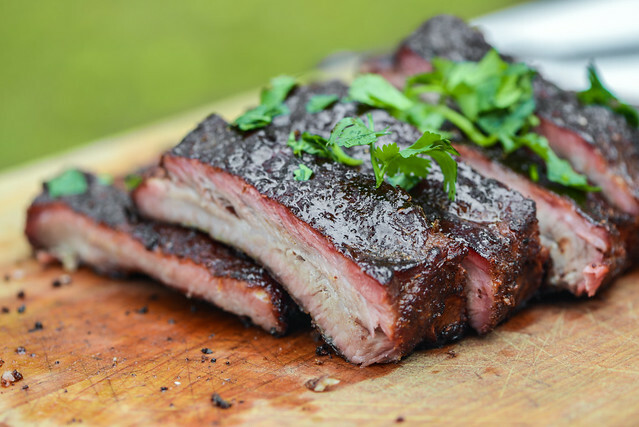 An earthy rub paired with sweet and tart tamarind chutney give these smoked ribs a distinctly Indian flavor profile. To make the chutney: In a small saucepan, heat water over medium-high heat until just boiling. Add in tamarind concentrate and stir until completely incorporated. Add jaggery, salt, cayenne, cumin, and ginger. Stir until sugar and salt are completely dissolved. 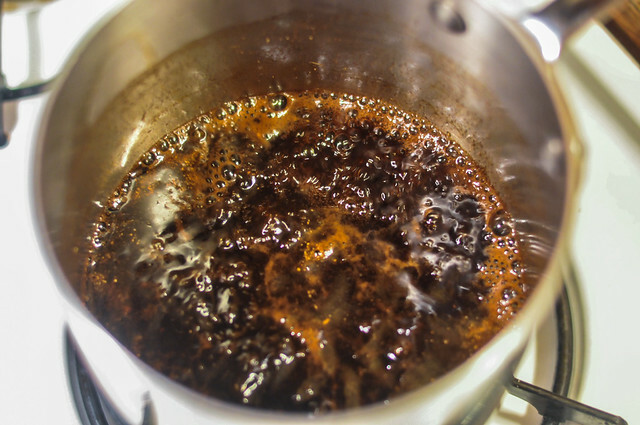 Reduce heat to a simmer and cook, stirring occasionally, until thickened to a thin syrupy consistency, about 20 minutes. Set aside. 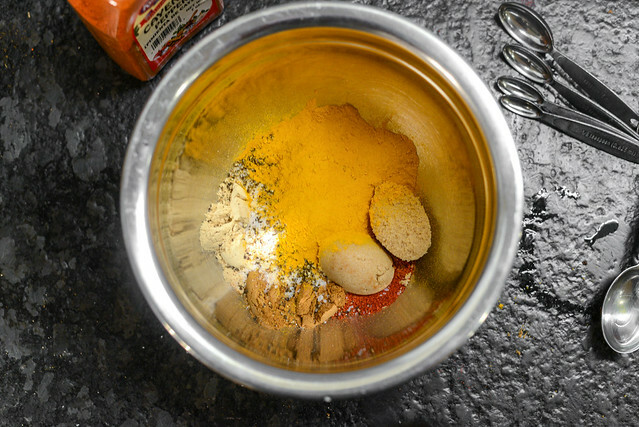 To make the rub: In a small bowl, mix together paprika, coriander, cumin, light brown sugar, salt, turmeric, black pepper, ground ginger, garlic powder, garam masala, and cayenne pepper. Remove membrane from back of each rack of ribs and trim meat of excess fat. 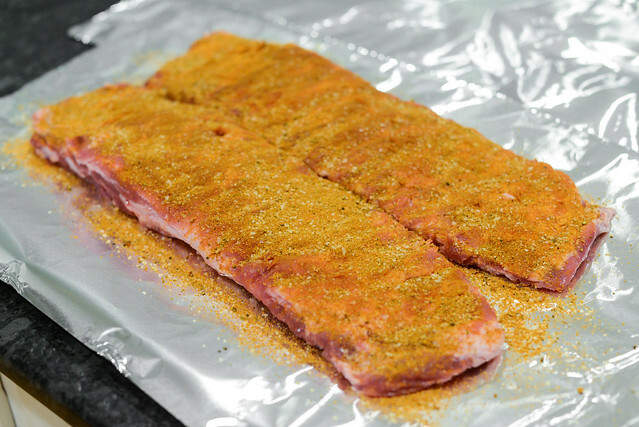 Generously season ribs all over with rub mixture. 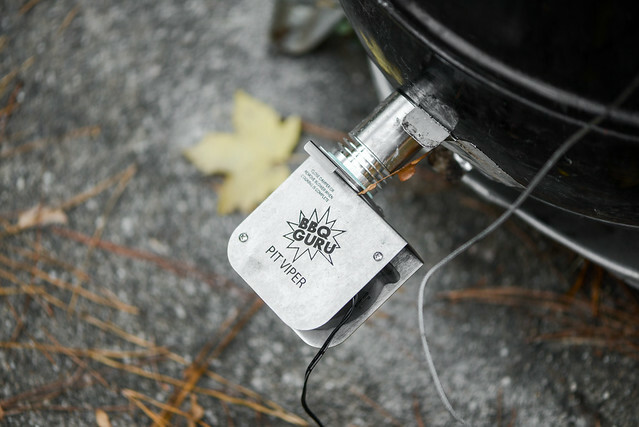 Fire up a smoker or grill to 225°F, adding chunks of smoking wood when at temperature. 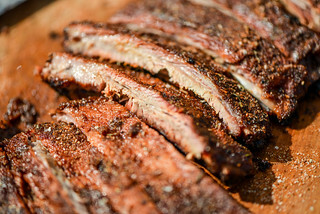 When the wood is ignited and producing smoke, place the ribs in smoker or grill, meaty side up, and smoke until the ribs have turned a deep mahogany color, 2-3 hours. 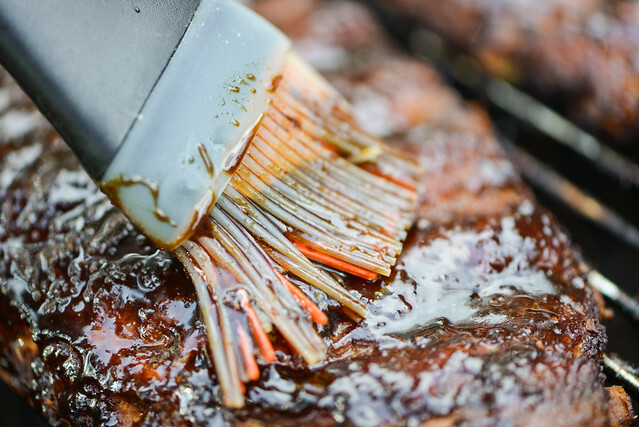 Spray ribs with apple juice and continue smoking, spraying the ribs with apple juice every 45-60 minutes, until they bend slightly when lifted from one end, about 2-3 hours longer. In the last 1/2 hour of cooking, baste top of each rack of ribs with tamarind chutney. 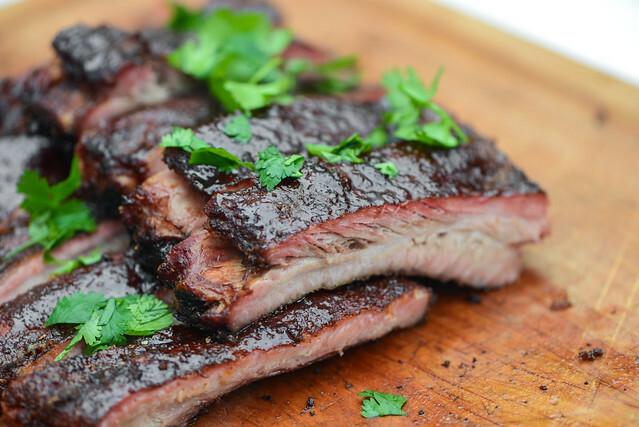 Remove ribs from smoker, slice, sprinkle with cilantro, and serve with remaining tamarind chutney. At first I was like "Indian dry rubbed ribs? Sounds interesting." Whewy, lad, gonna have to make these soon. And thanks for the heads up in the BBQ Guru.